Many of us Spanish teachers would claim that culture is one of our favorite parts of language teaching. We desire for students to truly grasp how different countries and people groups live and work and eat and dance and dress. Most of us fell in love with our target language through a cultural experience. Our most vivid memories of using our beloved language probably involve being in a restaurant, our study abroad years, riding public transportation or asking questions of strangers; diving into the culture that surrounded us. And yet, many of us have also felt the pressure of the upcoming chapter test or the need to stay on pace with the project we are doing with our team teachers. And somehow, sadly, culture often takes a back seat. Or gets left behind altogether. At least I remember those moments very vividly from my first years teaching. I desired so badly to make culture less trivial facts and more real life experiences, but it was challenging and I failed many times. So, here's one way to bring culture front and center in your Spanish class. BRING FOOD. I know, I know, we already contribute more than our share of hours and dollars, but the reason I am introducing these foods specifically is because they can take as much or as little time as you have to put into them. They are foods my host mom served regularly in Spain (hence "Spanish", please let's use that adjective correctly :) ) in 2010 and 2011 and they are foods that are easily transported to class and split many ways. My "go-to's", if you will. 1. 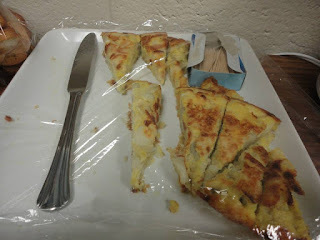 Tortilla Española (O Tortilla de Patata): This is a simple dish with really 3 ingredients, and yet it is all over the place in Spain. You do have to master the art of flipping the tortilla, but if I can do it, so can you! You can cut it into whatever shape/size is easiest for you! An electric skillet is a great way to transport/warm tortilla. If you don't want to worry about silverware, use toothpicks! 2. Pan con Aceite: Easy. Peasy. 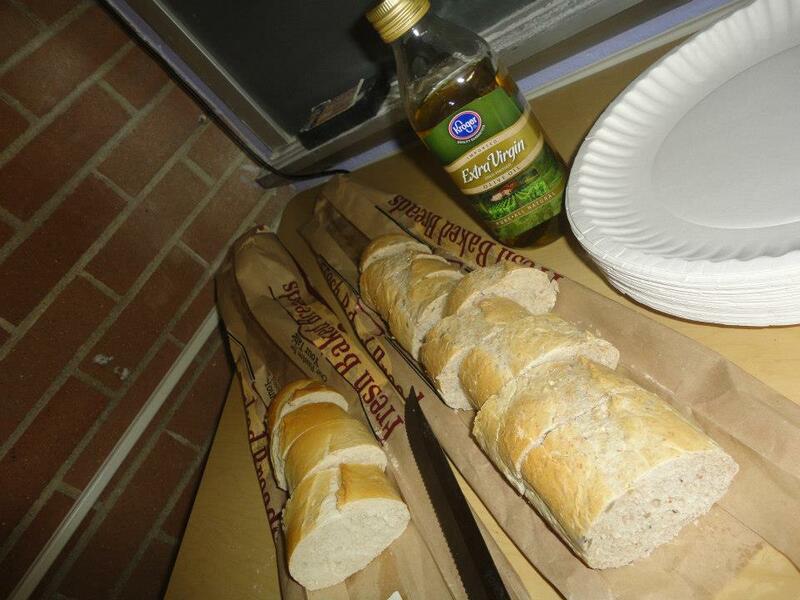 Get some crusty baguettes from your local bakery/grocery and bring out the olive oil (yes, poor quality compared to what you can feast on in Spain). A couple of loafs go a very long way. Maybe even try a little bit of Queso Manchego on the side (a little pricey in the USA) or sprinkle some Parmesan on top! 3. Naranjas Preparadas: A familiar fruit done differently. Slice the oranges, drizzle the oil, sprinkle cinnamon sugar on top. No cooking, baking, nothing. Sticky, yes. But they make your classroom smell great and about 99% of your students will love them. 4. 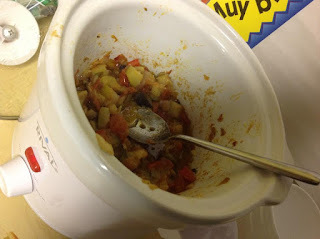 Pisto Manchego: Best prepared the night before and brought to school in a crockpot, from my experience. You will need a variety of veggies for this dish, and I recommend bringing bread along. My grocery store carries pre-cut, pre-seasoned little bite size garlic toasts, so I buy a $3.99 bag of those and the crockpot goes a very long way! This is one of those recipes that I change each time I make it. My favorite includes eggplant! 5. Patatas Bravas: Always a crowd pleaser. Buy frozen potatoes to fry or dice up your own. The beauty is is the salsa brava. I normally put it on the side (although in Spain its all over the top!) for the students so they can just dip them in it. Not to brag, but these have literally brought students into my classroom from the hallway during passing periods, so you know they smell great while cooking! I recommend electric skillet plugged in at the back of your classroom so they're nice and warm. There you have it! 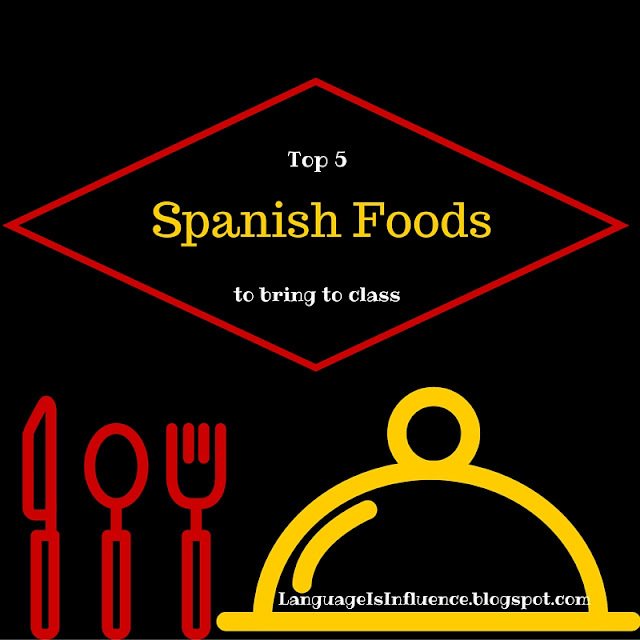 Five simple, easy and diverse authenticly Spanish recipes to bring culture to life in your classroom. You can easily tie these in to adjectives practice (deliciosa, horrible, etc), food and ingredient words (go through the recipes together), or set up an food cart simulation where students have to read a menu and ask questions about prices in Spanish before ordering. Get creative! 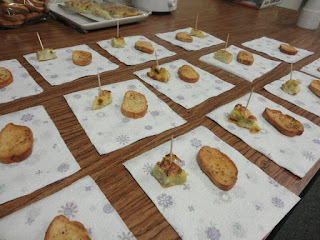 And let me know what your students think of these dishes.